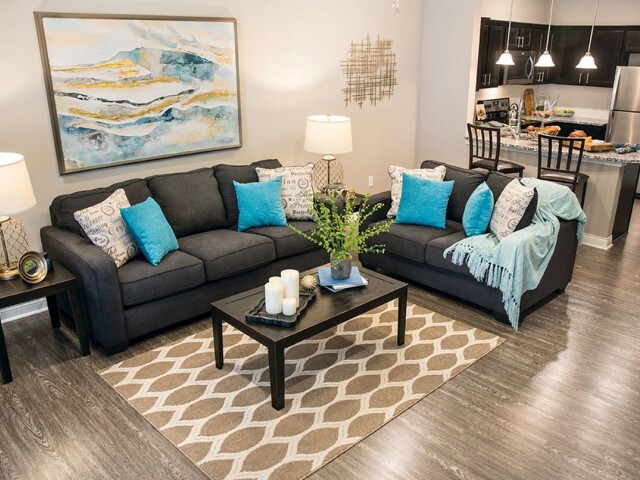 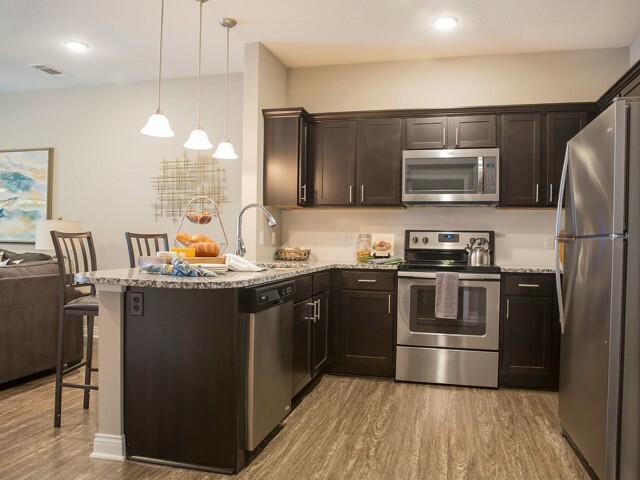 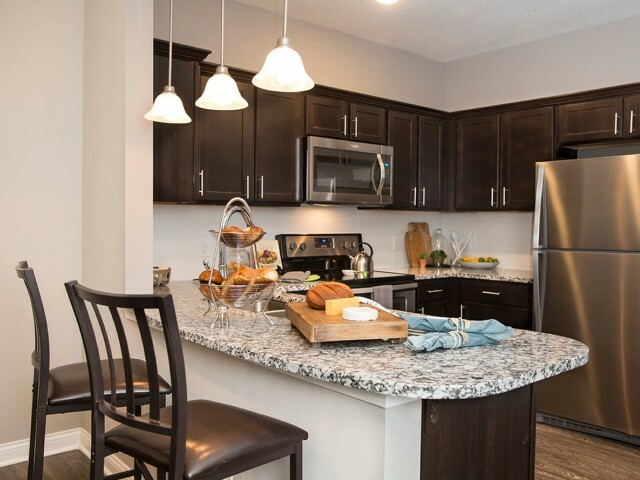 The Prima I floorplan features a roomy eat-in kitchen connected to the living area. 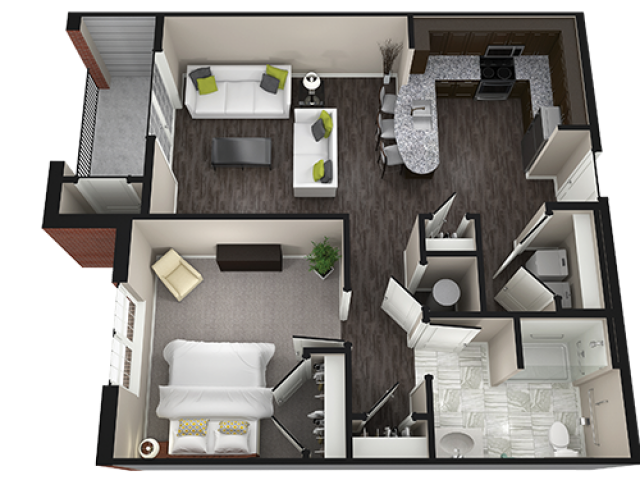 This 1 bedroom style offers large picture windows, laundry hook-ups just off the kitchen and a patio or balcony for outdoor living just a step off the living room. 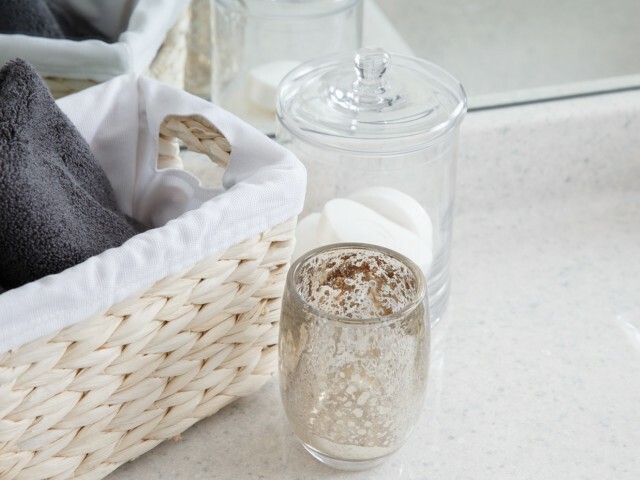 Additional storage is featured between the bedroom and bathroom to help with seasonal storage.